Our teaching staff is highly trained in early childhood and is dedicated to their field. Their passion for teaching and love of children is validated on a daily basis in their hard work. Each staff member is CPR and First Aid Trained and has completed all of the requirements for the New York City Department of Health. Toni has taught in all of the programs here at Stepping Stones since 2013, mainly teaching the preschool class. After pursuing a position in the Board of Education for a year, she realized her passion was geared more towards early childhood education in a nursery school setting. She currently holds a Bachelor’s Degree in History/Secondary Education from St. Joseph’s and a Master’s Degree in Early Childhood Education and Early Childhood Special Education from Brooklyn College. Toni is professionally certified in early childhood education, early childhood special education and social studies grades 7-12. Toni will now be working as an assistant to the Directors to help oversee the day to day operations of Stepping Stones. She will be proactively involved in the events that occur throughout the school year. She is excited to rejoin the Stepping Stones family and looks forward to working with the children and the parents throughout the year. LeeAnn is currently the Preschool teacher at Stepping Stones. She has been working at Stepping Stones for over three years. In that time, she has taught children in both the 2 year old and 3 year old program. LeeAnn attended The Catholic University of America, in Washington D.C., where she graduated with a Bachelor of Arts degree in Early Childhood Education. Upon graduation in 2013, she moved back to New York to begin her teaching career and be closer to her family. She is currently completing her Masters of Science in Special Education from CUNY College of Staten Island. During her free time she volunteers at the Make a Wish Foundation for the New York City area. She loves to travel to new places and explore new foods. LeeAnn became a teacher to pass her love of learning on to today’s children. She wanted to make impact on children’s development by creating a positive and engaging learning environment. Lisa has worked with Stepping Stones for over three years. During this time she has worked with both the After School Program and the two year old class. Prior to working at Stepping Stones, Lisa worked with Gabriel Pediatrics for five years. She has extensive experience working with children which led her into the field of education. She also has an eight year old son whom she enjoys playing with, reading with and enjoying time together. In addition to being a mom, she enjoys spending time running. She is looking forward to helping each child grow by creating a fun-filled learning experience for all. Victoria has been working with Stepping Stones for over a year. She grew up in Brooklyn and currently lives in Bay Ridge. When she first started at Stepping Stones she worked with the three year old program and now has began working at the two year old program. Victoria, who goes by Ms. Vicky, has several years of experience in working in the field of education. Her previous experience included working at a two year old program in Brooklyn Heights and being a nanny to a wide range of ages throughout Brooklyn. When she’s not in Stepping Stones, you can find her managing her after school program or teacher her cooking class in Sunset Park. In her spare time Vicky can be found creating new recipes. Vicky really enjoys creating a safe, fun and enriching program at Stepping Stones and looks forward to the years to come. 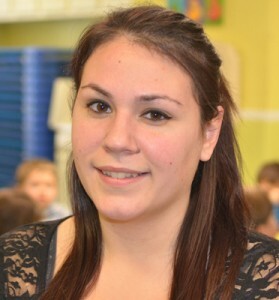 Claudia has been a teacher at Stepping Stones-The Next Step since 2013. She grew up in Brooklyn and has three siblings. She was inspired to become a teacher by her nieces and her sister, who is the director of special needs education in Nassau County. She is a graduate of St. John’s University where she earned a Bachelor of Science in Elementary Education with a second major in English. She has been a substitute teacher for the Department of Education and most recently the nanny of two children from Bay Ridge. Helping them and watching them grow has been a great experience that lends itself to being a compassionate and nurturing person in the classroom. She is passionate about the education of children because they are the future. Their success is dependent upon the education and experiences we provide for them. Her interests away from school include anything outdoors; paddle boarding on Neponsit Beach in Rockaway, baseball (She’s a HUGE Yankee fan! ), reading, baking and crafting. Krista has been working at Stepping Stones for two years. She has worked with children in the Preschool Program as well as in the three year old program. This year Krista is the group teacher for the two year old program. She has had extensive experience working with children even before she began working in Stepping Stones as she comes from a large family with many young children. She is patient, kind and nurturing. She is also a dance teacher after school and will be granted her degree at the end of this year. Jillian is a new teacher at Stepping Stones this year for the two year old class. 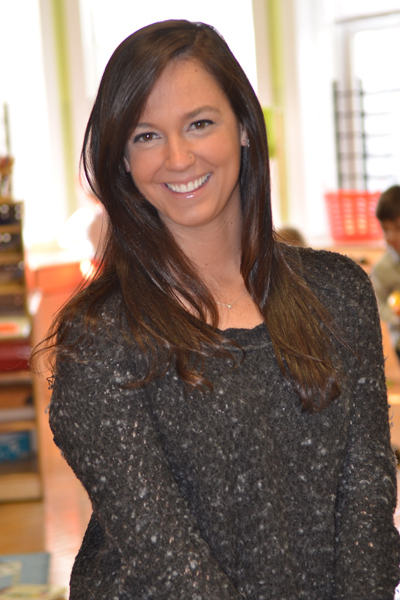 Jillian has been an early childhood educator for over five years, in both early intervention and preschool classes. 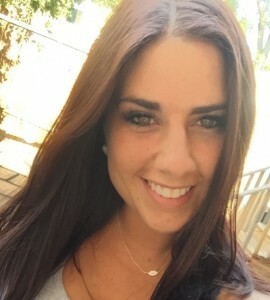 She has extensive experience working with children who have special needs and believes every young child learns in a personal and unique way. Jillian’s goal this year is to foster our toddler’s independence, explore the world around them and learn through play. Jillian continues to study Early Childhood Education because she believes that a positive school experience at a young age sets the students up for success. Jillian looks forward to an exciting year ahead. Donna has been working at Stepping Stones for over three years. She has been a toddler assistant teacher for both summer and fall and is planning on getting her degree in Early Childhood Education. Donna loves to sing and play the piano in her spare time. She truly enjoys working with the children and loves being able to see how much the children learn and grow over the school year. She is extremely patient and kind and treats every child as if they were her own. She loves nurturing the children and helping them get adjusted into their new school environment. You will always see Donna with a child on her hip or holding someone’s hand. Cynthia has been part of the Stepping Stones Staff for over thirteen years. She has a Bachelor’s Degree in Early Childhood Education along with her initial teacher certification. She will be working towards obtaining a Master’s Degree in Special Education and an extension in Early Childhood Education to pursue her permanent certification. She hopes to continue teaching the future children of Stepping Stones. Cynthia is currently a Head Teacher for the Preschool Program at The Next Step. She is a caring, creative, dedicated, nurturing and encouraging individual. Cynthia is a big fan of the arts, music, reading and baking, especially in sharing her hobbies with her students. She enjoys being around children, working with them, and inspiring them to become better versions of themselves. She has had many opportunities throughout the years to watch the children of Stepping Stones not only gain a well-rounded education, but to also gain a second home and family! Francesca is currently a student at Brooklyn College graduating in the Fall of 2017 with a degree in Kinesiology and Exercise Science. Her goals and passion are geared towards pursuing a career in Occupational Therapy in the pediatric field. At Brooklyn College she has also had a chance to be a part of the women’s volleyball team for four years and volunteering as a health education in underprivileged schools. Her interests outside of Stepping Stones include playing sports along with the love of arts. In Stepping Stones, her goals are always to share her love of the arts and sports with children in order to encourage them to express themselves and be creative in many ways. Seeing a smile on a child who does something they never thought they could do is one of Francesca’s most rewarding experiences. This is her reason why working with children is the most enjoyable aspect of her life. She looks forward to making a difference in a child’s learning experience through encouragement and hopes to make every student she has in her class have a wonderful time with her at Stepping Stones. Laura is one of our Toddler teachers. She has been a dedicated teacher at Stepping Stones since April of 2003. 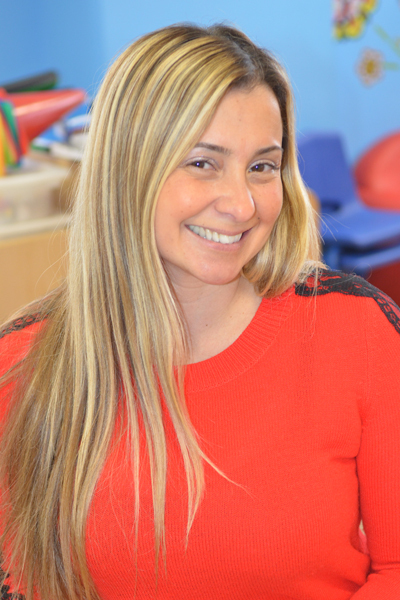 She has experience teaching in both the two and three year old programs. When asked, she will tell you that she finds both age groups equally enjoyable and loves being a part of her little students’ educational journeys. Laura has been a Brooklyn resident her entire life. She has an Associates in Liberal Arts and continues to further her education by attending educational workshops. Most of her free time is spent with her husband and son whom she adores. Second to her love of children is her love of animals. She enjoys cooking, reading, fishing on the Long Island sound and the serenity of the country. A big part of her life is taking frequent trips upstate to visit her brother and his family. “The best part of being a nursery school teacher is the incredible amount of love I feel every time I walk through the classroom door in the morning. Dana currently works as a teacher in Stepping Stones. In the past, she has been a co-teacher of the Kindergarten After School Program and also an assistant teacher for the two year old class. She has been with Stepping Stones for almost three years. Dana received her Associates Degree from Kingsborough Community College in Early Childhood Education. She loves teaching because there is nothing better than watching children grow. During her free time, Dana enjoys working for Event Works; an Event Planning Company on the weekends where she creates the parties of your dreams. Her creativity inside and outside the classroom always shines. You can always find Dana laughing and smiling with her students and their parents. She loves interacting with people and is a great addition to the Stepping Stones staff. She is looking forward to returning to school for her Bachelor’s Degree and continuing her future with a bright open mind. Jackie has been at Stepping Stones since 2015. She graduated from Long Island University with a BFA and is currently enrolled to complete her Masters Program in Early Childhood Education. Jackie has a an exceptional way with children and you can always hear her laughing with her three year old class. She has worked with all different age groups. She also has an interest in the arts, such as photography, painting and sketching. Her talent as an artist enables her to bring her artistic side into the classroom. When school is closed for vacations, you can find Jackie traveling overseas and spending time with her family and siblings. Gina has been working with children for over three years. She has received her Bachelors Degree in Early Childhood Education/Special Education with a concentration in Psychology from Brooklyn College. She is currently in her Masters Program at Brooklyn College. She is very family oriented and loves spending time with her family and friends on her free time. Her goal a t teacher in Stepping Stones would be to teach children in a way that is most comfortable to them. She believes students learn best when they are comfortable, resulting in a better performance. She loves teaching children and seeing how they are similar and different. She looks forward to getting to know all children that come her way and connecting with each of them. Veronica has been working with children for over three years. She was a nanny and a camp counselor at Poly Prep Country Day School. Veronica is currently a part time student in a city college. Her future goal is to to become a pediatrics registered nurse. She is very patient and caring for others. It gives her immense joy to see children happy. Veronica is currently enjoying working in the two year old class and then assisting the After School Program. She loves spending time with her family and friends during her free time. Her goal at Stepping Stones is to offer the best experience possible for the students in her care. She looks forward to having a great school year. Shannon has worked with Stepping Stones Nursery School for over seven years. During her tenure, she worked with two year old and has spent the majority of her time as the three year old head teacher. Shannon attended Saint John’s University where she received a Bachelor’s of Science in Education with a concentration in English. She has received her initial certification in Education and is currently in her Masters Program pursuing her professional certification. Shannon teaches to help instill the values of education in her students and creating early education bonds with her students that she carries with her forever. Shannon is an animal lover and enjoys feeding and caring for the stray animals she encounters. Shannon has recently wed and is looking forward to spending time with her husband and starting a family of their own. Darlene is currently an extended day teacher at the Next Step. She is the eldest of two children which has made her a responsible and caring individual from a young age. She enjoys spending time interacting with children, parents and people. Working with children has always been an interest and passion of Darlene’s which led her to her field of study. She currently possesses a Bachelor’s Degree in Bilingual Education and Puerto Rican and Latino Studies from Brooklyn College. Before returning to Stepping Stones three years ago, Darlene had worked at Stepping Stones in 2007 as an assistant teacher for three years. 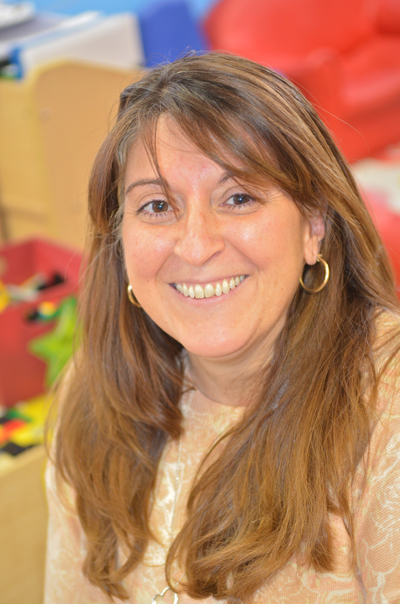 She enjoys being back and is very enthusiastic in working with the children in her care. Rosary has had a love for teaching since she was 12 years old. Rosary has been a Preschool teacher here at Stepping Stones for 11 years. Along with holding her position here, she is a mother of two young children. Having young children in grade school allows Rosary to empathize with your concerns regarding your child’s early childhood development and it helps her to prepare your child for their future education. Rosary is currently a teacher for our Preschool program at The Next Step. She is a caring, nurturing and enthusiastic individual, who is dedicated to her classroom. Outside of her classroom, she enjoys spending time with her family! Rosary’s future goals are to continue teaching the incoming students of Stepping Stones. She enjoys watching every student in her class blossom into mature young individuals. She strives to provide a fun and interactive environment for her class where the children will not only learn, but grow to love the process of learning itself. Kim has been an assistant teacher in the three year old class for a few years. Currently Kim holds a Bachelor’s Degree in Dance with a minor in Marketing. It is rewarding to be a part of each child’s journey and to see the growth a child makes throughout the school year. When not at Stepping Stones, most of her time is spent in a Dance Studio teaching dance to students of all ages. Recently Kim was a part of the Disney Show Chunnigton as one of the main characters Brewster. She is now returning this school year again to continue to share her new experiences and discoveries with her students. She has been a motivated teacher’s assistant and truly enjoys working with children. She is always patient, kind and understanding of each individual child’s needs. She loves to reconnect with familiar faces and families in the community and can’t wait to provide the children with an outlet to express themselves creatively. Lynda is currently an assistant teacher in the three year old class. She graduated from Marymount Manhattan College with a BFA in Dance. She is the co-director of a family run dance studio, Triple Threat Performing Arts Company in Brooklyn. She also teaches dance throughout the tristate area on her days outside of Stepping Stones. Her experience with working with children of all ages through the art of dance is what she brings to her classroom at Stepping Stones. She is always patient, professional and well spoken with children of all ages. She has taught movement and dance for children in various public schools through Brooklyn Music School, The Federation of Italian-American Organizations, Purchase College, Bucknell University and Princeton University. She is a professional dancer who has a wonderful rapport with children. She enjoys sharing her outside experiences with her three years and looks forward to watching them blossom throughout the school year. Caitlin has been a part of the three year old class for over two years now. Caitlin grew up in a suburb of Philadelphia in Newtown, Bucks County. She attended an all-girls private, Catholic preparatory high school. After high school, Caitlin attended The Catholic University of America in Washington, DC. 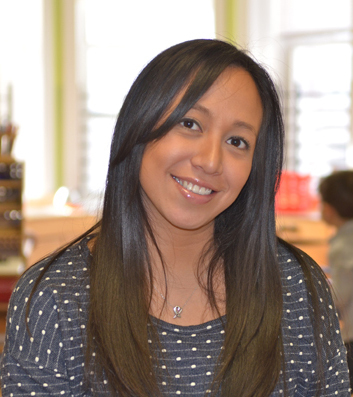 She graduated from CUA, with a BA Degree in Early Childhood Education. Caitlin’s interests include music, going to concerts, running, going to the beach, trying new things, and meeting new people. Caitlin’s future goal is to receive her Masters in Guidance Counseling. Caitlin loves to constantly create a positive learning environment within her classroom. Caitlin loves to constantly engage her students to further their understanding of the material being taught with enjoyable and hands-on lessons! Priscilla has been part of the Stepping Stones staff since 2013, during which she has worked with the toddlers, three year olds, preschool and afterschool students. Priscilla graduated from St. Joseph’s College in 2016 with a Bachelor of Arts in Speech Communication and Psychology. She is currently continuing her education at Long Island University where she will receive her Masters Degree in Occupational Therapy. During her free time, Priscilla enjoys spending time with her friends and family, and also loves to dance. She has been teaching dance for over six years to children ages three and over in a variety of styles. Priscilla is patient and kind, and loves forming unique relationships with each child. She is passionate about working with children and helping them grow into the best individuals they can be. What Priscilla loves most about teaching is the love she is able to give your children, and the joy she receives from spending her time with them! She is looking forward to a great school year. 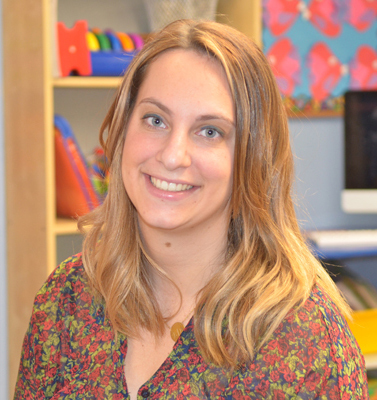 Catherine is a recent graduate of Brooklyn College with a Bachelor of Arts Degree in Speech Language Pathology, and is continuing her education at Long Island University’s Brooklyn Campus as a graduate in their SLP program. Catherine enjoys working with children and watching them grow as each day passes. She is pursuing and hopes to have a career in the school environment, where she can help students overcome any obstacles they may face. She has the ability and personable skills to connect with those she is working with, whether it be younger or older students. While working at Stepping Stones, Catherine is looking forward to spending time with each of your children, getting to know them and helping them learn new things! Ness is currently the Stepping Stones After School Program Teacher. She started in September 2016 and has been involved with child care since 2013 as a preschool teacher’s assistant and an elementary school camp counselor. She graduated from SUNY Plattsburgh in 2010 with her Bachelor’s in Journalism and began her Masters of Liberal Arts degree at Temple University in 2013. In her free time, Ness loves to write and perform poetry alongside her partner, who dances. Ness also enjoys reading while drinking coffee, listening to and creating music on her guitar, and spending time with her four cats. She looks forward to incorporating some of her artistic passions into the curriculum for the After School Program and contributing to your child’s educational and creative empowerment.